Sodium is a photograph by Trevor Clifford Photography which was uploaded on July 24th, 2016. Sodium. 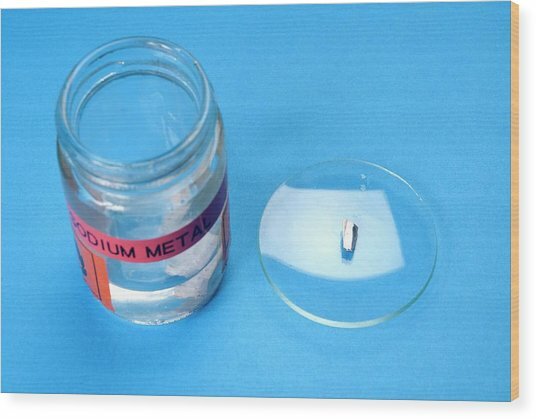 Small piece of sodium metal on a watchglass (dish, right), showing its shiny surface. 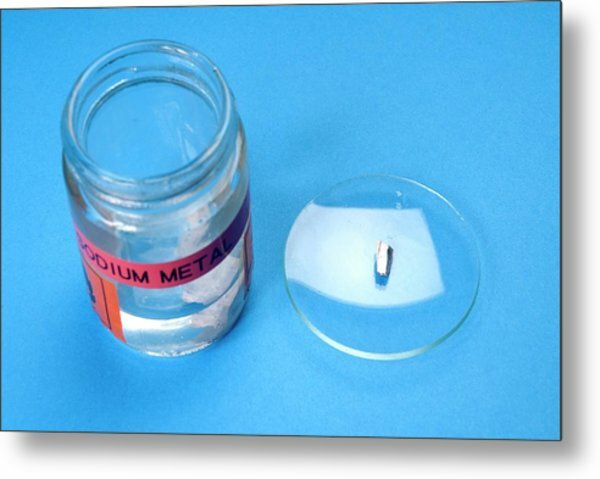 At left is the jar of oil used for storing the sodium. 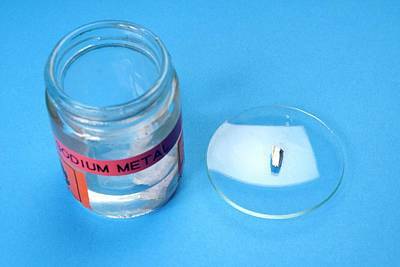 Sodium is a highly reactive alkali metal element. 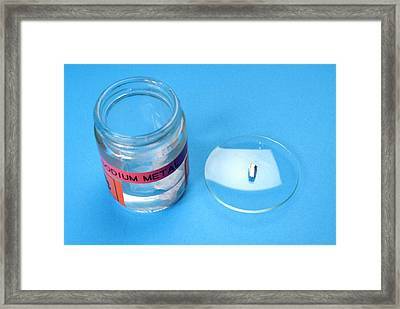 The oil in the jar prevents it from oxidising with the air. There are no comments for Sodium. Click here to post the first comment.